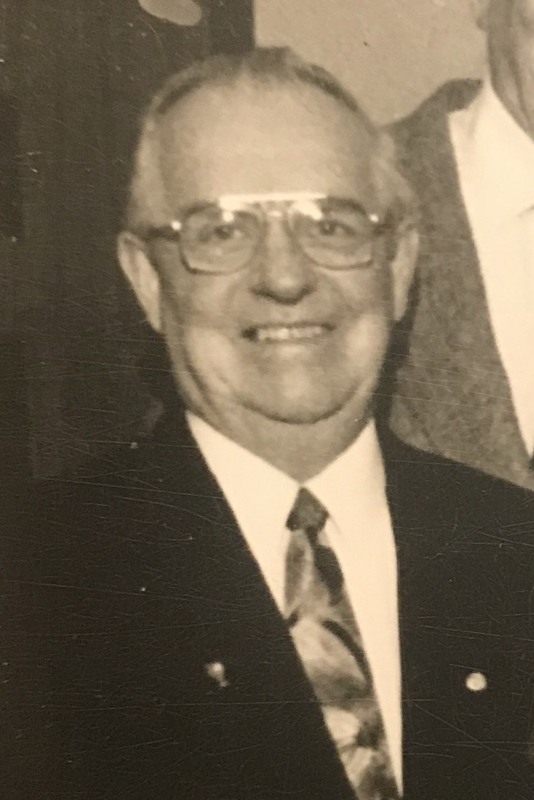 Stephen F. Gavin, a resident of Scranton’s Hill Section and previously Dunmore, died peacefully Monday morning at Holy Family Residence. His wife of 49 years was the former Ellen DelRosario who died in 2012 also at the Holy Family Residence. Born in Dunmore, he was the son of the late James and Anna Allman Gavin. Steve was a graduate of Dunmore Schools and had been employed by the former GNB Battery Company. After his retirement, he served in the role of sexton, Eucharistic minister, Parish Council, and usher at Immaculate Conception Church. He was a member of the Knights of Columbus Council 280 in Scranton. He volunteered many years of his time to Mercy Hospital. Stationed in Germany, he served our country honorably during the Korean Conflict in the United States Army. Surviving are his devoted daughter Nancy and her husband Reis Brad Lansdowne; his loving and caring grandson Zachary, who was the pride of his life; numerous nieces and nephews. He was preceded in death by his three angel grandchildren and siblings James, John, Mary, Ann, and Isabelle. The family would like to thank the staff of Holy Family Residence along with the Little Sisters of the Poor for their generous care, love, and devotion to Steve and his wife Ellie during their time as residents. Mass of Christian Burial will be celebrated Friday at 10:30am in the Chapel at Holy Family Residence 2500 Adams Ave. Scranton, PA 18509. Friends and family may call Thursday from 4-7pm in the Maloney Lounge at Holy Family Residence. Interment with military honors will be private in Indiantown Gap National Cemetery, Annville, PA.
Memorial contributions can be made to Holy Family Residence 2500 Adams Ave. Scranton, PA 18509.